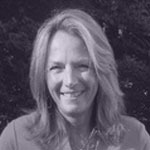 As a Fox Trial Finder Ambassador, Susan Mollohan of Derry NH helps to spread the word about the importance of participating in clinical trials, using a data base tool developed by the Michael J. Fox Foundation for Parkinson Research. A former educator, she now teaches about Parkinson’s disease, how it affects patients and their caregivers. As a cyclist in the New England Parkinson’s Ride, she will talk about her experiences in that ride which helps raise donations for research.